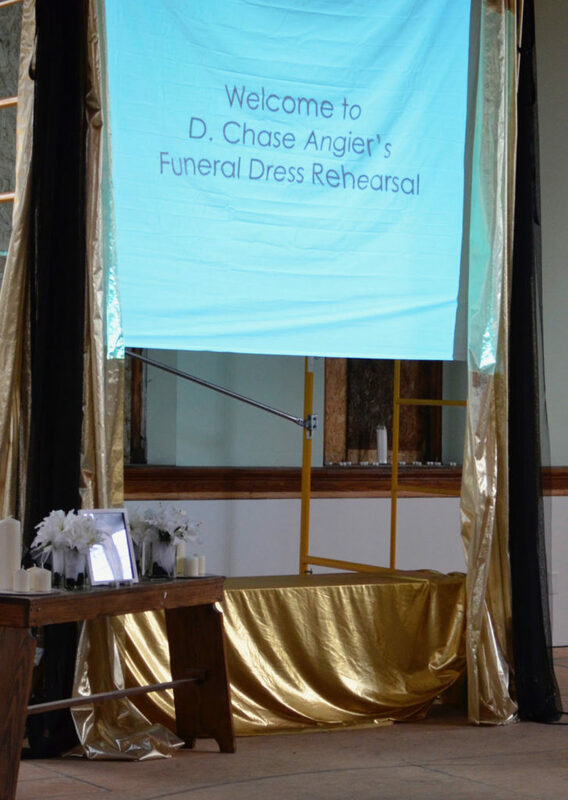 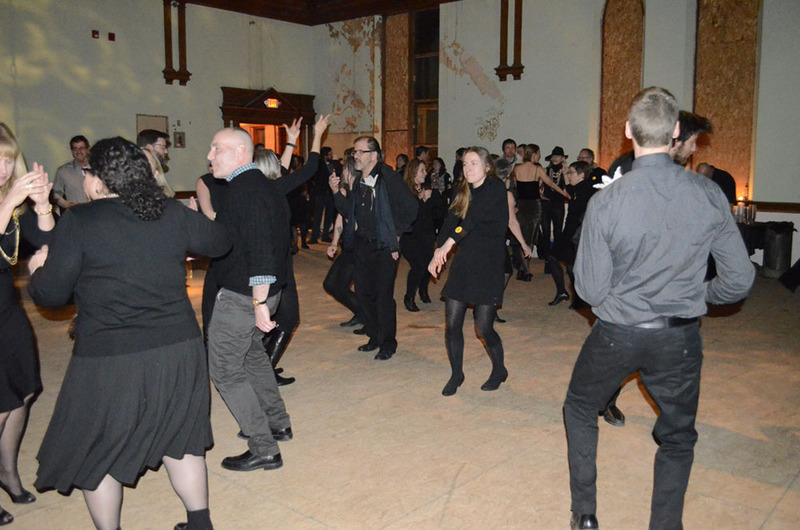 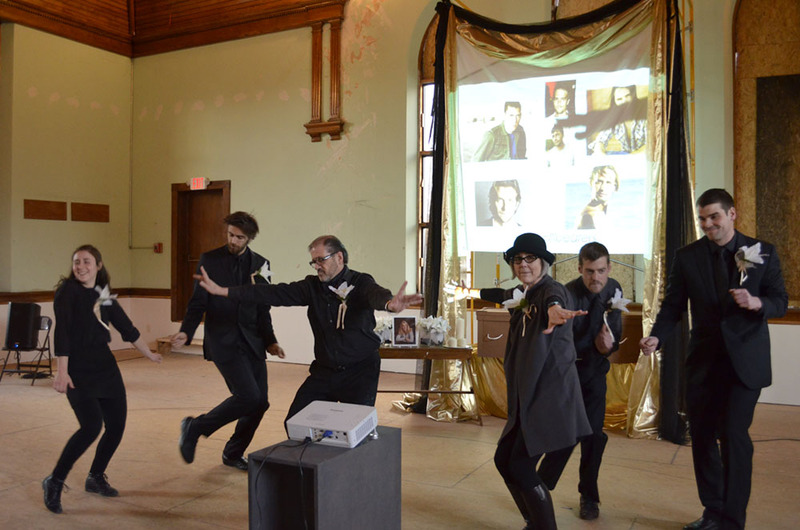 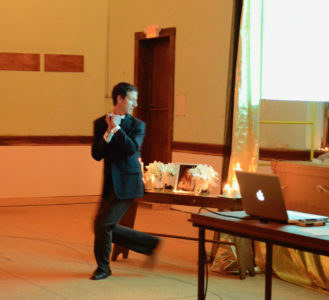 For D. Chase Angier’s 50th birthday, she decided to lure her friends from far and near to her Funeral Dress Rehearsal. 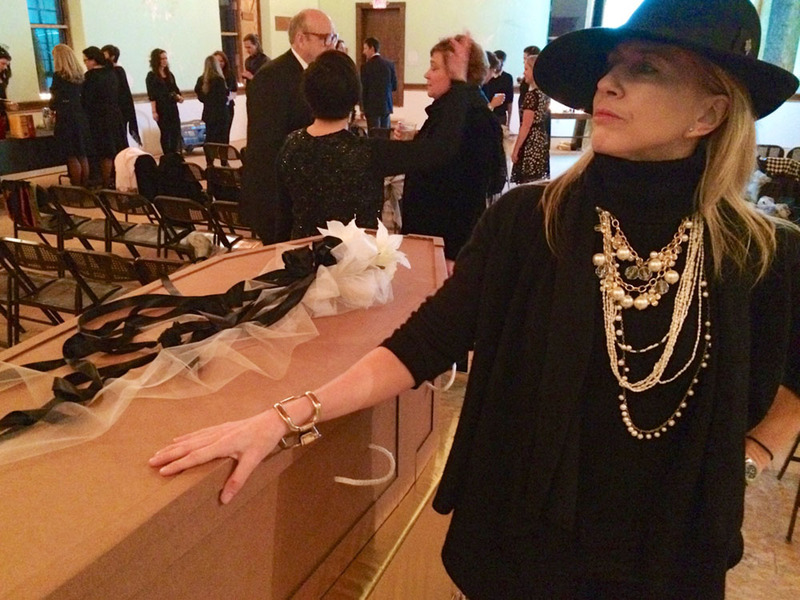 She had attended many funerals and had often thought they could have been better with just a little more rehearsal. She began the dress rehearsal with instructions for her funeral, and had live performances by Brian Brooks, Robert Bingham, the Alfred Ceramists and her husband and son to further illustrate her demands/requests. 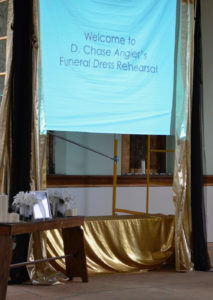 All of the funeral guests were asked to wear funeral attire. She had video auditions for the funeral officiator and a rehearsal video eulogy. 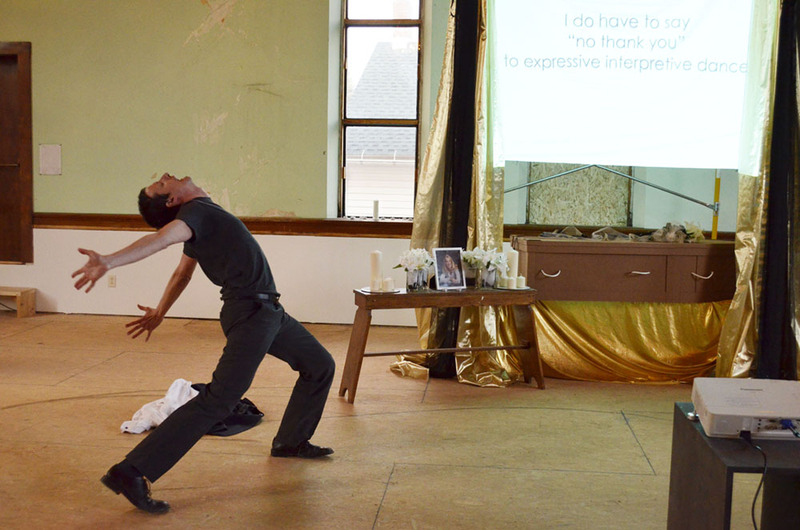 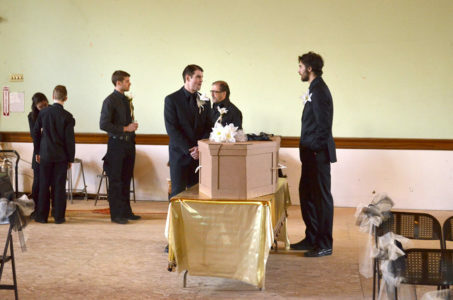 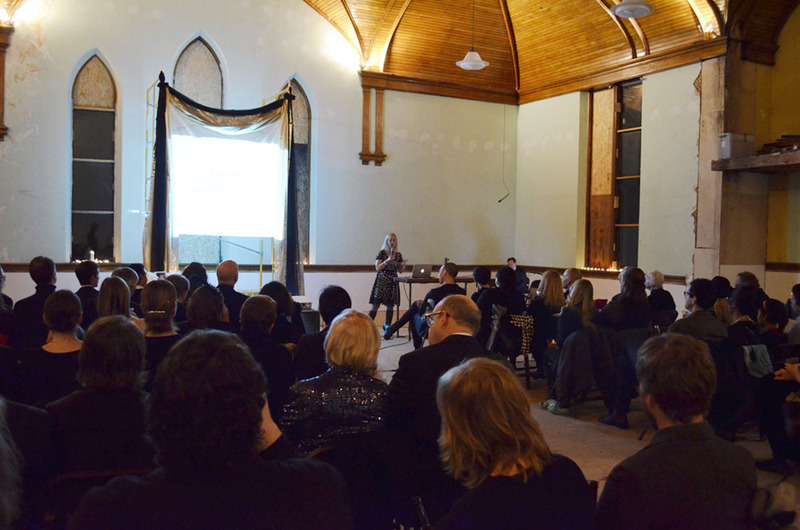 Visual Artist Angie To built the casket made out of biodegradable cardboard, and Angier created the choreography for the pallbearers. The evening ended with a 70’s funk dance party and delicious food. 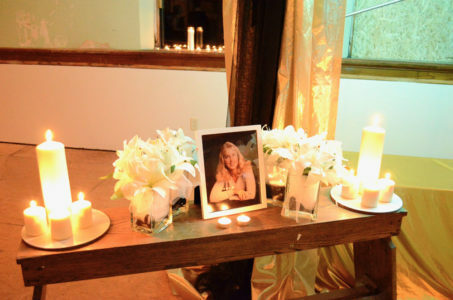 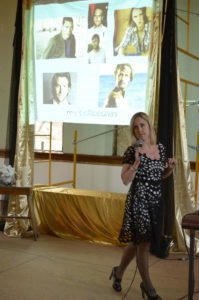 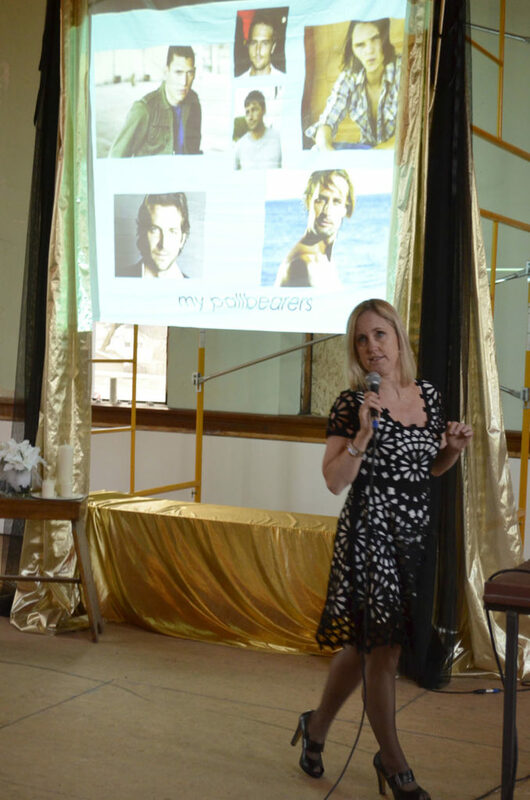 Although this event was both tongue in cheek and quite real, the true impulse of the work was to have a gathering of her friends where she could tell them collectively, while she is still alive and well, how much they mean to her – how the meaning and value of my life is rooted in our relationships.